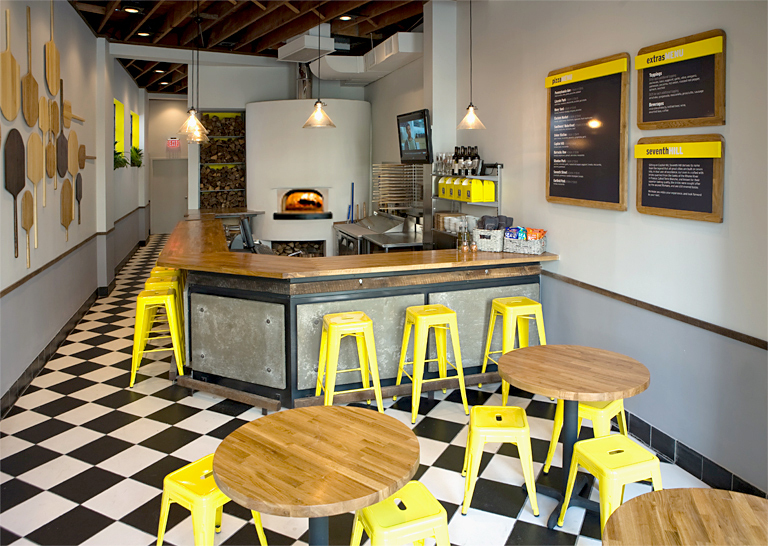 The interior design of Seventh Hill pizza was created as part of a larger project involving the overall branding for the bistro. 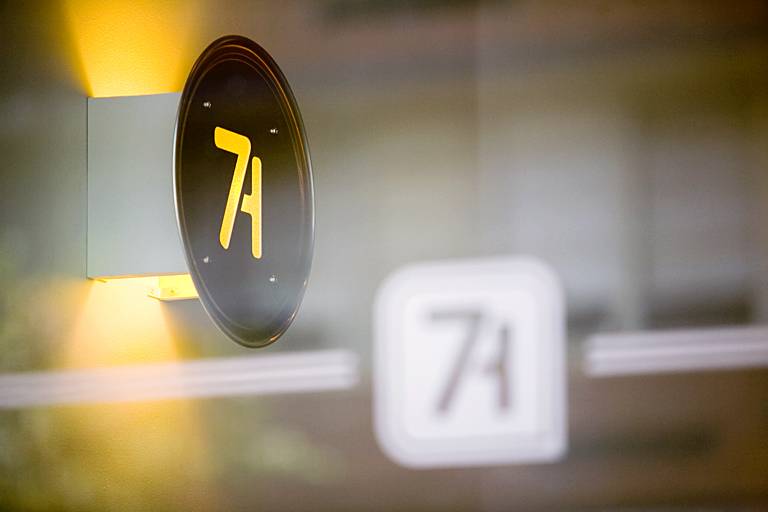 Tasked with designing the entire concept, we set out to create an interior worthy of its name. 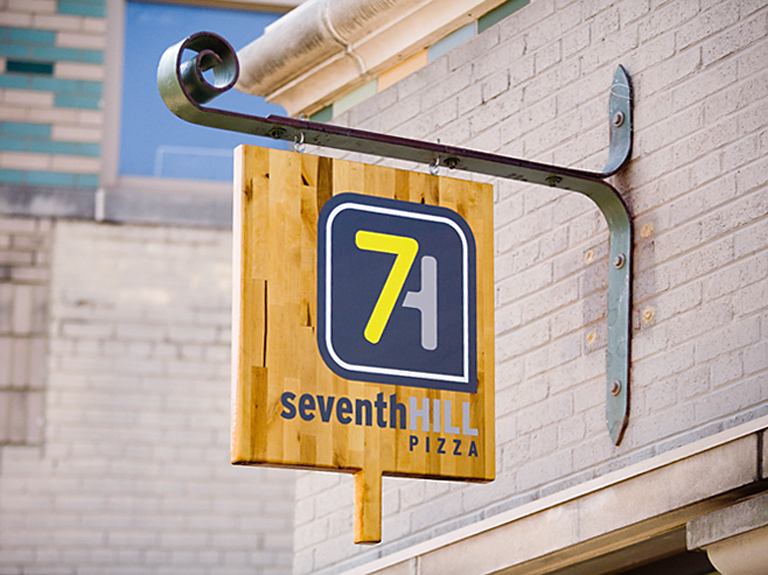 Seventh Hill is named after the legend that all great cities are built on seven hills. 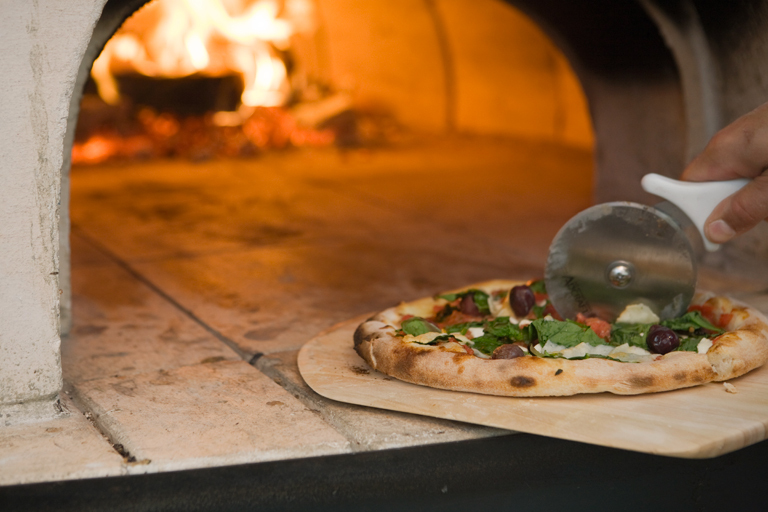 Taking inspiration from the pizza-making process, the dining experience is centered around the circular brick-oven stove made out of stone imported from France. The bar that wraps around the kitchen prep station is custom-designed out of reclaimed wood and metal with a concrete façade and oak countertops. 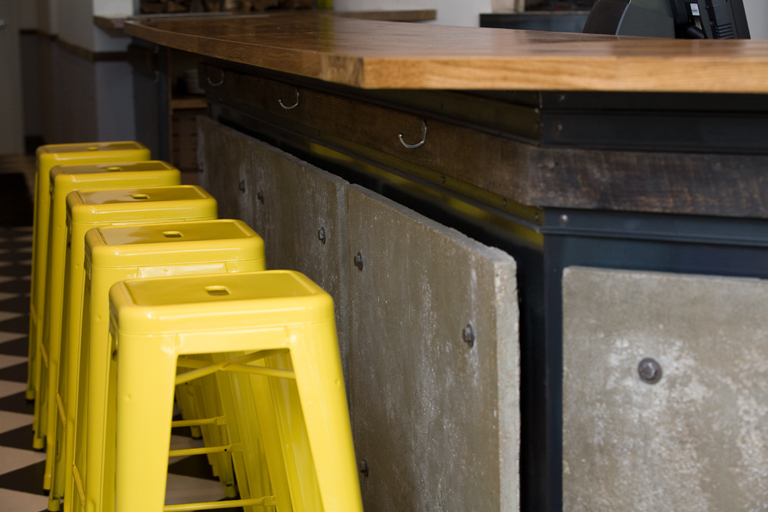 Pops of yellow show up in the unique stools, the custom menu boards, and window wells. 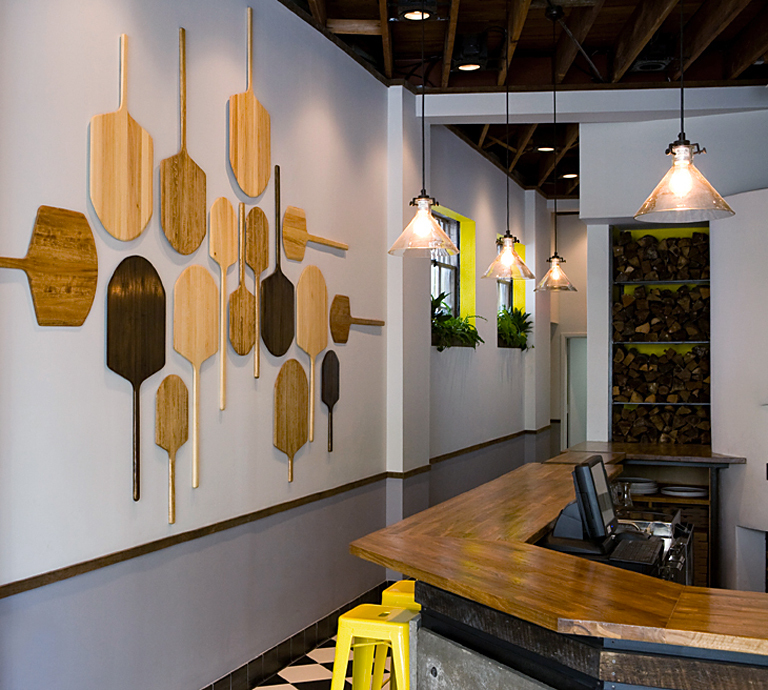 Mirroring the wooden pizza peel of the exterior sign is the grid of wooden pizza peels in various stains and sizes that fill the wall opposite the menu boards. 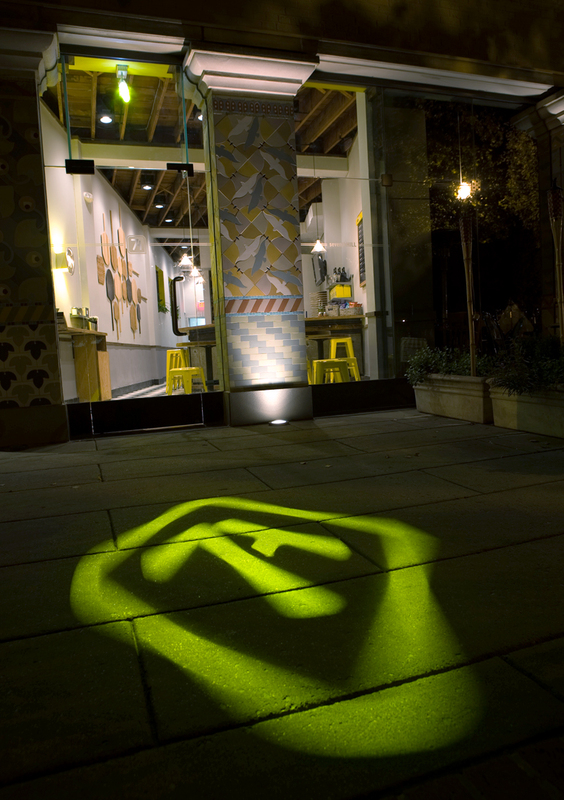 Custom light sconces and a rotating exterior gobo light complete the dining experience. 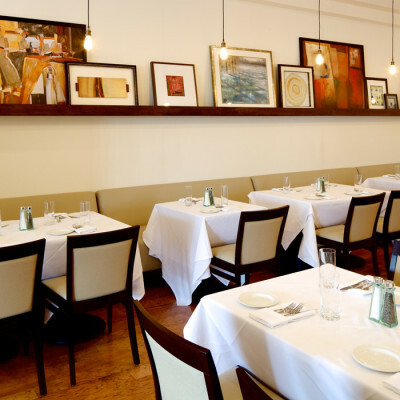 We were excited to be published by Basher Books in their restaurant design collection: Designlicious, Gastronomy by Design.